What's wrong with this picture? : Is There A Problem Here? : What's wrong with this picture? 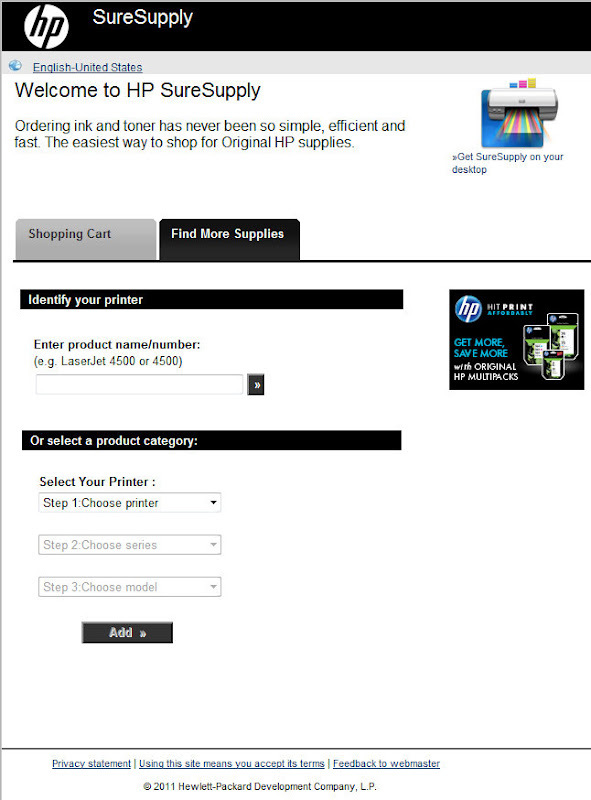 Well, not much if we ignore the claims that this is the easiest way to shop for HP printer supplies. The problem is that I got this page while trying to remove an out-of-stock item from my shopping cart. After selecting a number of items to purchase, I attempted to remove one item that was out of stock. I entered "0" in a quantity edit box and clicked an "Update" link. Rather than update my shopping cart, it took me back here. It is requiring that I select my printer and items to purchase all over again. I could not get this specific issue to reproduce, but I've been bounced back to this page about a half dozen times in my attempt to select ink today.